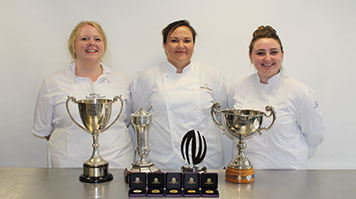 Three LSBU National Bakery School students who took part in the competition excelled in their categories and were awarded 1st and 2nd prizes for their work respectively. The annual conference, which took place 11-12 June, saw hundreds of students and trainees from UK and Ireland take part in competitions, seminars and networking opportunities. The Alliance, which was established in the 1920s, is a cross-industry organisation which sets out to provide a united platform within the baking industry on all issues relating to bakery education and training. 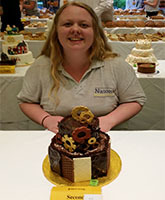 The Alliance aims to maintain the best skills and technical knowledge required by the baking industry and, through this knowledge, is able to offer support and guidance to people who are studying bakery or undertaking bakery training within the industry, therefore becoming a link between industry and education. 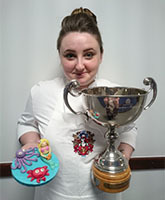 Elaine Thomson, LSBU’s Course Director for National Bakery School, said: “I’m extremely proud of my students, their level of engagement, participation and professionalism was astounding, I am confident that they will all becomes assets to the industry. 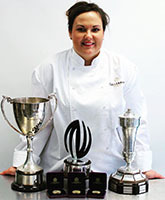 Find out more about LSBU’s National Bakery School.